During the spring season, your thoughts may be turning to the garden and all the wonderful foods that you can grow there. While you may love to grow corn, squash, spinach, and lettuce, they are not always the best choice for survival gardens. Invariably, you will need to select plants that either offer a wide range of medicinal benefits and are nutrient dense, or they offer other broad range benefits. Once you begin thinking about the bigger picture and all that plants can be used for, you will soon realize that the top 12 essential plants for a survival garden are far different from what you may have been thinking about. While you can always supplement with other plants, learning more about these plants and cultivating them is very important. The leaves, as you are aware, are edible. They offer more nutritional value than lettuce, spinach, and more popular leafy greens. As an added bonus, dandelion leaves will grow easily all year round if you don’t run the plants over with a lawn mower or try to poison them. Unlike spinach and lettuce, dandelions do not require cooler temperatures let alone any kind of temperature dependent care. Dandelion root has a long and venerated history of use in Traditional Chinese (TCM) and Middle Eastern Medicine. Among other things, it can act as a diuretic and digestive aide. Dandelion root has also been successfully tested as a possible remedy for several cancers. This includes melanomas (the most dangerous form of skin cancer) that are not destroyed by chemotherapy. Russian Dandelion (a separate species) roots produce a milky substance that can be used to make a form of rubber. While you may not be able to quickly make enough rubber to make automobile tires, this substitute may be useful for many other places where you will need rubber. 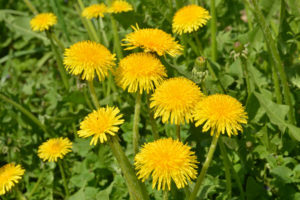 In the case of Russian dandelions, you can still consume the leaves, however it may not be safe to use the roots as frequently for food and medicine as other dandelion types. Nevertheless, it doesn’t hurt to grow both species in your garden, as most people won’t be able to tell them apart, and will still think both are just weeds. Dandelions are good for soil conditioning – If you let dandelions grow from year to year, they will do more than simply come back with new leaves and flowers for you to make use of. They will also extend taproots deep into the soil where the root systems of other plants will never reach. During that process, they will help bring up additional phosphorus, calcium, potassium, iron, copper, and silicon. Many of these minerals are essential for your health and also for plants that share the garden with dandelions. Using dandelion root in compost or as a fertilizer will be important, especially in times where you may not be able to purchase pre-fabricated formulas. Since Purslane is a “weed”, it is easy to grow, multiplies quickly, and will not be recognized as a food source by others looking for more traditional-looking gardens to raid from. Purslane is emerging as one of the most important sources of Omega 3 Fatty acids. It also provides more Vitamin A and C than more popular plants on the market. As with Dandelion, Purslane is healthier than spinach and lettuce, and also more tolerant of a wide range of temperatures. 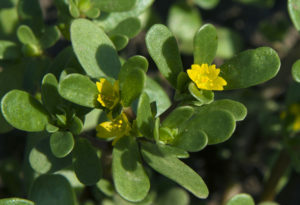 Purslane also has a number of medicinal properties that have been documented in medicinal traditions from many cultures. 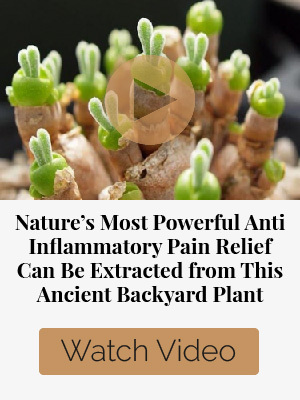 Based on modern research, Purslane can help stave off neurological damage. This is very important considering the number of water, food, and air toxins as well as electronic smog that may be causing all kinds of neurological damage. As an added bonus, people suffering from neuropathy related to diabetes may also see some improvement. Purslane may also be useful for slowing down liver damage, slowing down the course of diabetes, and may combat cervical cancer. Insofar as soil conditioning, Purslane helps with reducing soil compaction. It can be used as a soil builder that increases the amount of magnesium, potassium, sulfur, silicon, and iron in the soil. Remember, the more of these vital nutrients there are in the soil, the more nutritious your home grown edibles will be. There is far more to healthy gardening and supplying nutritious foods than simply choosing the right seeds. It is also about making sure the soil itself has the requisite nutrients that can be taken up by the plant and made available for your dietary needs. 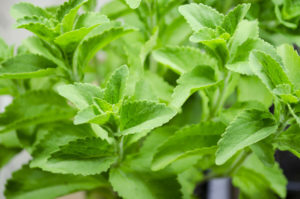 Even though Stevia can be tricky to grow, it is still very important for survival gardens because it is a low carb sweetener that may be very helpful to diabetics that won’t have access to medications in a post-crisis world. 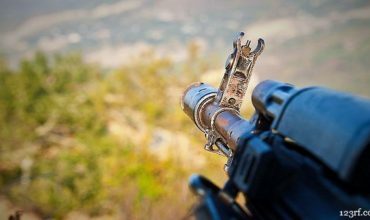 While there isn’t much information on the nutritional profile of Stevia, some very promising research indicates Stevia extract can be used to get rid of Lyme Disease. 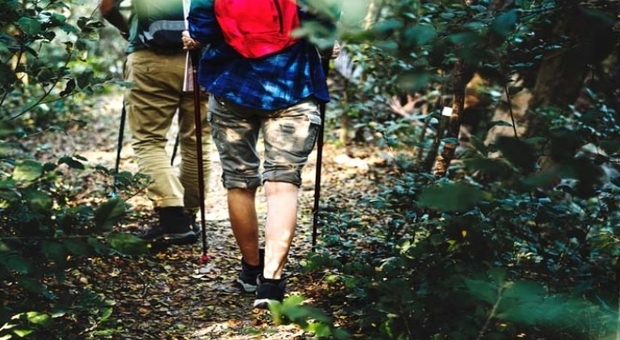 Given the increasing number of diseased ticks and their likely proliferation as our environment becomes more unstable, Stevia’s ability to get rid of Lyme Disease may be more important than its nutritional value. Since research on Stevia is also fairly new, other information about its ability to manage other conditions may also emerge. Unfortunately, research on this important herb was slowed down for years because of lobbying from various industries. While Stevia has been used globally as a food additive, obtaining seeds and plants is still not easy. It is best to get them now while they are available so that you have them in time of need. Turmeric has been used medicinally and as a spice for thousands of years. Even a serving as small as a teaspoon contains a variety of nutrients including Iron, Manganese, Vitamin B6, Copper, and Zinc. When used as a seasoning, it does far more than make your food taste better. For example, if you enjoy cooking foods at high temperatures, the addition of Turmeric prevents the formation of HCAs that are linked to an increased risk of cancer. Turmeric is often used for many health benefits. It is a documented and well known anti-inflammatory. It also has antibacterial and antifungal properties. Some studies indicate that Turmeric may help fight asthma, cancer, and heart disease. 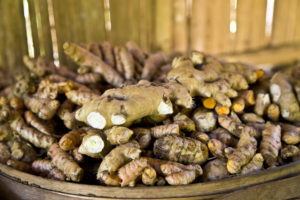 Given the list of studies done on Turmeric and its ability to treat various diseases, it would be best to study them in accordance with your needs. There are simply too many that have been verified by at least animal level studies to put in this article! There are two things you must be careful about when consuming Turmeric. First, it is a blood thinner. You should not use Turmeric without discussing it with your doctor, especially if you are on blood thinners or have to go for some kind of surgery. Second, the biggest shortcoming with Turmeric is that it does not stay long in the body, nor it is absorbed well. In order to overcome these problems, you must consume it with some kind of fat (many people use olive oil), and black pepper. 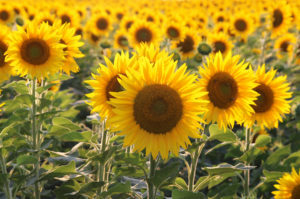 Sunflower seeds can be made into oil that can be stored away in the freezer for months. This oil is fairly easy to make and gives you a chance to get away from refined and dangerous oils such as Canola oil. If you are in a situation where animal fat is not plentiful, you can still use sunflower oil for cooking. Contrary to popular belief, you are not limited to consuming just the seeds from sunflowers. You can also eat the leaves and buds. If you need a nutrient dense food and more biomass than offered by the seeds, simply let them sprout. 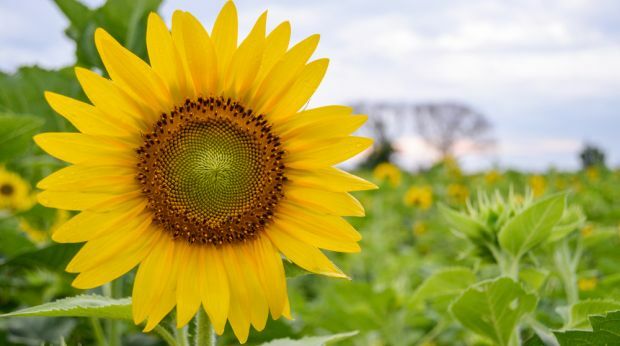 As with other sprout seeds, the available nutrients in Sunflower is also much higher than you would get in a mature plant. Sunflower seeds can also be dried and ground up for addition in bread and cookies. In a time of need, you can dry the seeds to make a variation of hardtack. Finally, sunflower seeds are rich in selenium. This is an often under represented mineral that is vital for thyroid health and many other functions. Sunflowers are hearty and easy to grow. Once you have harvested the seeds or leaves, you can always put the remainder of the plant back into the compost pile. If you do not have eggs available, simply soak some Chia seeds until they form a gel. This gel will have similar binding properties to an egg. Bear in mind, however, Chia seeds cannot act as leavening agents. You will still need to use yeast or baking powder for that purpose. Chia seeds are rich in protein, calcium, Omega 3 fatty acids, fiber, potassium, and copper. 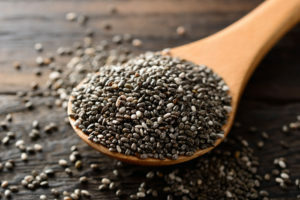 When consuming Chia, never forget that the seeds can absorb 27x the amount of water, and thus increase greatly in size. As such, you should never consume them without making sure they have been fully soaked and turned into a gel. If you are going to use them for the sake of their crunchy texture or as a topping, do so sparingly. Chia plants can be both large and prolific. This makes them useful for producing large amounts of biomass. You can consume the leaves as well as the seeds. Since the plants do get very large, they also lend themselves well to the compost pile once it is time to harvest. 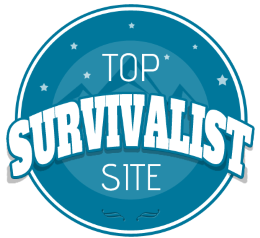 By this time, you may be wondering why I haven’t added beans to my list of essential foods for a survival garden. Even though beans provide a good bit of protein and can fix nitrogen in the soil, they do not provide all of the essential amino acids required for basic nutrition. Quinoa, on the other hand, is one of only a handful of plant based foods that provides all of the essential amino acids in digestible form. 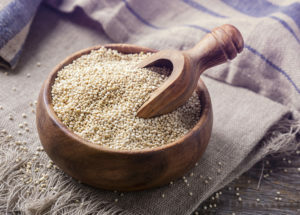 Unlike soy beans, which also provide all of the essential amino acids, quinoa is markedly safer to consume and prepare. Quinoa is rich in dietary fiber, protein, iron, and magnesium. Even though quinoa does not make gluten, it is a useful substitute for wheat flour. When you compare the yield from quinoa versus wheat, you will also find that quinoa has a higher yield. Unlike beans, quinoa will not fix nitrogen into the soil. Rather, it behaves more like corn in the sense that it can deplete nitrogen very quickly. When growing quinoa, do not forget to rotate it often with red clover, which will restore nitrogen to the soil, or simply grow them together. Returning now to “weeds”, red clover is another plant that most would not recognize as part of a valuable and highly functional survival garden. To begin, as noted above, red clover fixes nitrogen into the soil. In fact, it will often grow wild in areas where nitrogen has been depleted. You can consume both the leaves and flowers. Leaves can be made into salads as well as prepared in ways similar to spinach or made into a tea. 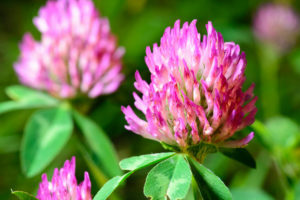 There is considerable controversy over whether or not red clover extract is proven to treat menopause. On the other hand, there are studies that indicate red clover extract can be used successfully to limit bone loss after menopause. This is very important to consider, especially because finding a herb with a documented track record for managing bone loss can be difficult at best. Some ongoing research also indicates that red clover may be used as a cancer preventative agent. Originally, plantain was cultivated in Europe, and was used for centuries as a common food and medicine. 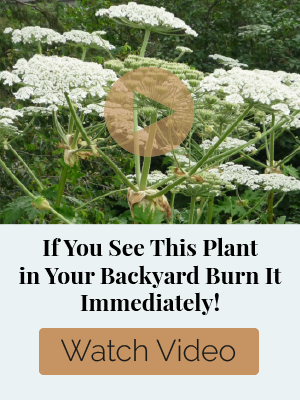 You can grow it easily as an annual, biennial, or perennial. If you are looking for an indoor plant that you can snip leaves from for salad, stew, or tea, then this plant will easily meet your needs. In fact, some people enjoy combining plantain tea with quinoa as they are complimentary in taste. Plantain is rich in several B vitamins as well as A, Chromium, Calcium, and Iron, Selenium, Zinc, and Phosphorus. Increasing attention is being paid to the ability of broadleaf plantain to act as an anti-inflammatory. In particular, one study indicated that broadleaf plantain extract could be used to reduce or treat liver damage caused by Acetaminophen. While it is yet known if plantain can also be used to manage other kinds of liver damage, it is worth considering. At the very least, bear in mind that you may come across many chemicals or toxins that will cause liver damage in the post crisis world. Using plantain when no other medical attention is available may be of some help to you. Needless to say, you will still need to know how to prepare the extract, and how much to take. 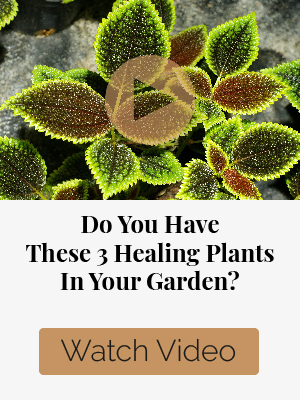 If you can, try to find a certified herbalist that uses broadleaf plantain for this and managing other inflammatory related conditions to find out more. Many people who are injured while camping or outdoors know that Plantain is very useful for preventing infection and blood poisoning from new wounds. All you need to do is get some juice flowing from a bruised plantain leaf and apply the entire leaf to the wound. When it comes to managing skin conditions, Plantain is often considered comparable to, if not better than Aloe. 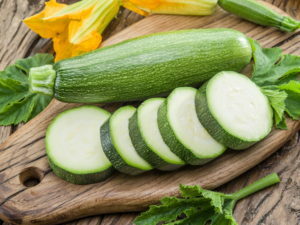 Even before zucchini are ready to pick, you can consume the leaves and flowers produced by the plant. Zucchini will continue producing vegetables until the plant is killed by the frost. 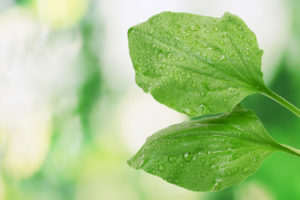 If you can find a way to grow this plant indoors, it is more than possible to extend its growing season and continue to have food all year round. If you are looking for plants that are easy to hide in plain view, Zucchini can blend well into many areas. They tend to have smaller leaves than other squash plants and hide their fruits well. As long as the bright flowers don’t show, there is a good chance people won’t see the vines let alone the squash later on. You can prepare the seeds, fruit, and skins in many different ways. This even includes fermenting zucchini and using it to make vinegar. Since zucchini is not as strongly scented or flavored as pumpkin, it may produce something more tolerable for cleaning and other purposes. These prolific plants produce a good bit of biomass, and deep root systems. This makes them useful for drawing nutrients from deeper soil levels. Later on, the compost from these plants can make a good soil conditioner. Garlic is similar to turmeric in the sense that there are far too many health benefits to name in just one article. Briefly, garlic is an antifungal, antibacterial, and antiviral. It can be used to manage high blood pressure, asthma (only in some people as in others it can trigger an allergic response), and diabetes. Consuming just one clove a day can easily keep away a range of illnesses without creating superbugs. 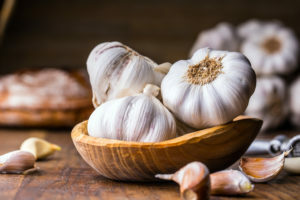 In fact, garlic has been around for thousands of years and used for treating infections without pathogens becoming immune to it. As an added bonus, you will not need to add other ingredients in order to increase the efficacy of garlic. That being said, like turmeric, garlic is also a blood thinner. If you are consuming one clove of garlic you should not be consuming turmeric or other known blood thinners. Garlic is prolific and takes up very little space. It can be grown easily in containers and will make bulbs in just a few months. Garlic is also nutrient dense and can be ground up to make both oils and powders. 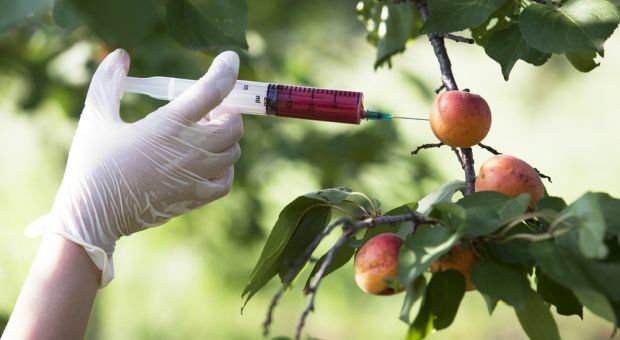 No matter whether you are interested in baking bread or obtaining suitable amounts of carbohydrates, it is very important to be able to produce sugar without being tied to an orchard or crops that will take a long time to grow. Sugar beets are ideal because they actually produce a viable sugar in just a few months. When it comes to choosing seeds, bear in mind that there are GMO sugar beets as well as hybrids on the market. 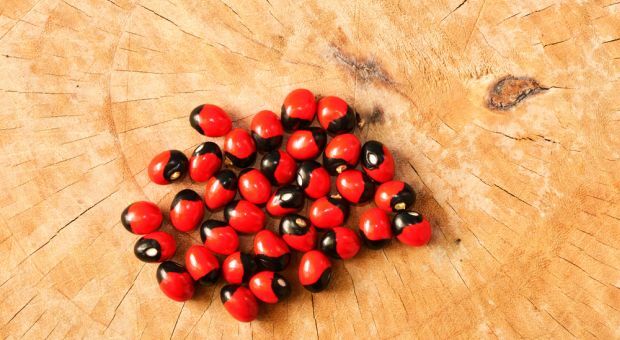 Choose your sources carefully so that you obtain seeds from a certified heirloom version. The plant itself grows quickly, and can be used in cooking as well as for producing sugar. You can also consume the leaves, even though they have a more bitter taste than other leafy greens. Since this plant gets quite large, it will need a good bit of room to grow. If you let the root grow long enough, you may wind up with beets that weigh several pounds. 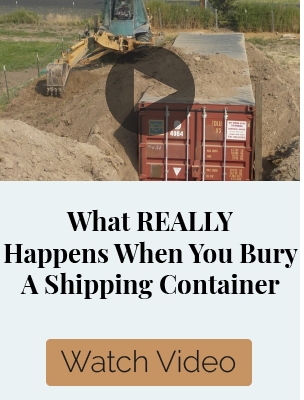 Therefore, when preparing soil for this plant or choosing a location for growing it, make sure that the ground offers plenty of room for a deep spreading taproot. It should also be noted that the rapid growth and production of biomass make them of interest to people looking to make biodiesel and also natural gas. 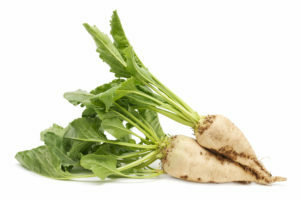 Interestingly enough, sugar beet also has a history of being used as a medicinal herb that goes back many centuries. Modern researchers are also finding that modified extracts from sugar beets can be used to kill off cancer cells. While much more work has to be done on this particular field of study, you can still look to older books on medicinal herbs and find out how it was used and prepared. When it comes to choosing plants for your survival garden, you must factor in many things before narrowing the selection down to a small number. Of the twelve plants I chose for this article, many are considered “weeds”, while others will tolerate a wider range of growing conditions than more common plant types. 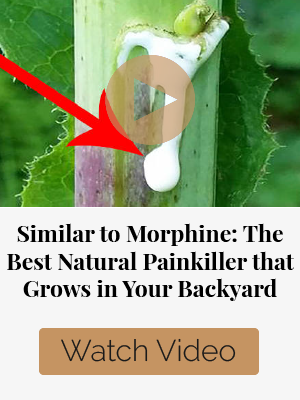 As such, you should be able to find these “weeds” growing right in your yard, or a field that hasn’t been touched by herbicide or pesticides. You may also find it easier to locate non-GMO seeds that will grow well from generation to generation. Insofar as more recognizable food sources, including garlic, you must always exercise caution to avoid GMO and hybrid strains. As you look through this list, you will find that it provides both a wide range of nutritional value, plus medicinal and other purposes. 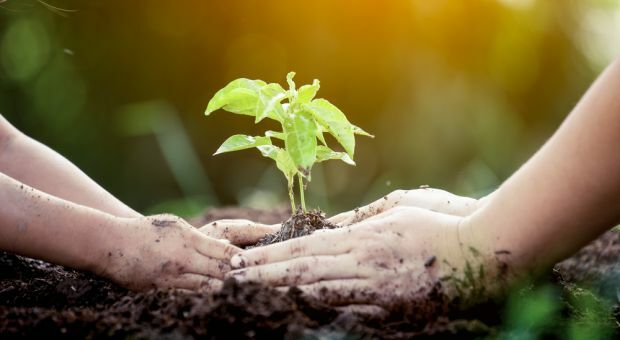 No matter whether you need biofuel, biomass for soil conditioning or rubber, these plants will help you meet your goals. While you may still want to add other plants later on for the sake of seasoning, or other benefits, never forget to see what is available in the “weed” category, or others that may not be easily recognized as a valuable source of food. Why is Plantain mentioned in the last paragraph of Purslane? This is confusing. We fixed the issue. Thank you for noticing that. Stay safe! If you live in the temperate zone where the soil is moist and has lots of humus and there is a decent amount of rainfall, these are the three food plants you want to teach yourself how to cultivate: field corn (maize), winter squash and runner beans. These can all be grown together on the same plot. Runner beans grow up the cornstalks and the squash vines proved a ground cover that shades out weeds that are competing with the food crops for nutrients and moisture. Mature, dried ears of corn, whole squash and the dried seeds of runner beans can store all winter in a cool, dry place and can provide crop seeds for spring planting plus food for humans and livestock until the next year’s crops start producing food. If you live in the desert Southwest, you will only have two short growing seasons before it is either extremely hot or too cold to grow much of anything. And you will need irrigation and soil amendments to grow short-season food crops. Here, you are best off with long-term food storage supplemented with food plants adapted to the dessert: honey mesquite tree (edible seed pods + sap/pollen for honey bees) and Opuntia indica (Indian Fig cactus) for edible young pads (nopales) and mature fruit (“tuna”). Both these food plants will require occasional irrigation during the summer in desert regions unless grown near natural springs or those dry creek beds that get run-off during the monsoon season. Hello, Linda. We live (and Grow) at the Northern Edge of the Great Southwest Dessert. We have the Very Best Growing Climate of Anywhere in the USofA – . Southwest Idaho, about 70 miles from Nevada’s Carlin Trend. We have great clay soil (abundant micro-nutrients) and sufficient sand content, A Great Year-Round Water supply (Snake River aquafer), and a perfect growing season. Rain and Snow in March and April, and Lots of sun later. First Frost around October 1 – Could Not be better. Yay Cactus! The leaves can be eaten raw or cooked and are a good source of soluble fiber, which will reduce blood sugar spikes. The fruit can be made into a good jelly or marmalade: the Ball Blue Book used to have a recipe. Check the Internet for Mexican recipes for both cactus (nopal, nopales) and purslane (verdolaga). Euell Gibbons liked to pickle purslane. Carmela, you’re a treasure. I never knew chia would grow outdoors in temperate climates or that you could make vinegar from zukes. In the Great Smoky Mountains, watermelons used to be boiled down for a sweet syrup or made into vinegar. The colonists used pumpkins for vinegar. I’d add mint and yarrow to this list. Mint will settle a stomach or flavor tea and main dishes; yarrow is a styptic and yarrow tea can be used instead of whisky for flu and viruses. Good Article, Carmela ! 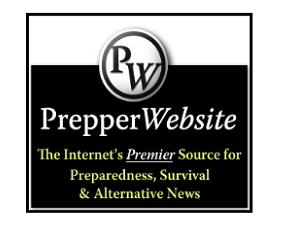 A Special Note about Sugar Beets – Very Important. About 98% of the Sugar Beets grown in the USA (50% in Idaho) are GMO and Are Useless for human (or Animal) Food. I can get Real Organic Sugar Beet Seed – and I will share that info with any and all . . . Also, a note about Dandelions (Native or Italian) – we are growing in USDA Zone 5A, and our honey bees, and “Blue Orchard Bees” (aka mason bees) wake up around March 20 or so – and they have Nothing to eat for 3-4 weeks, Except the Dandelion Blooms. Our Orchard and Berry Patch are covered with them and welcome. Our next-door neighbor has his horse pasture also covered with them. Wonderful News for our pollinators.